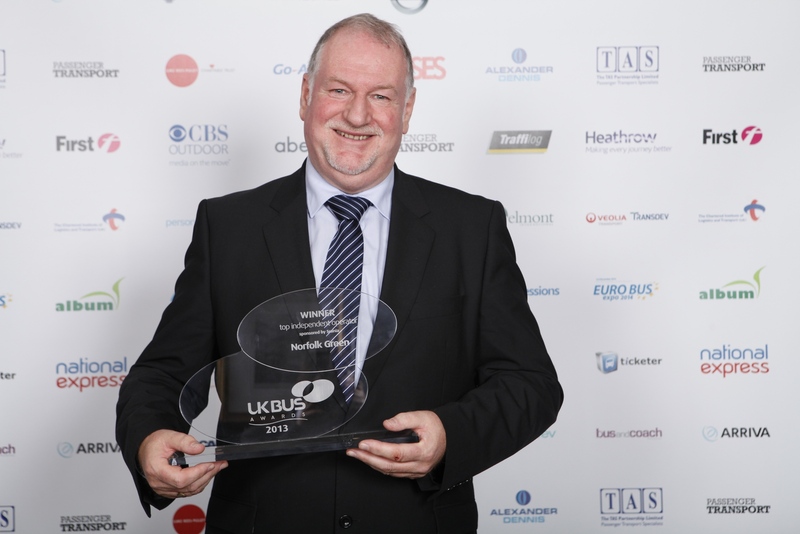 Stagecoach Manchester is celebrating after winning the UK Bus Operator of the Year award at the UK Bus Awards 2013. 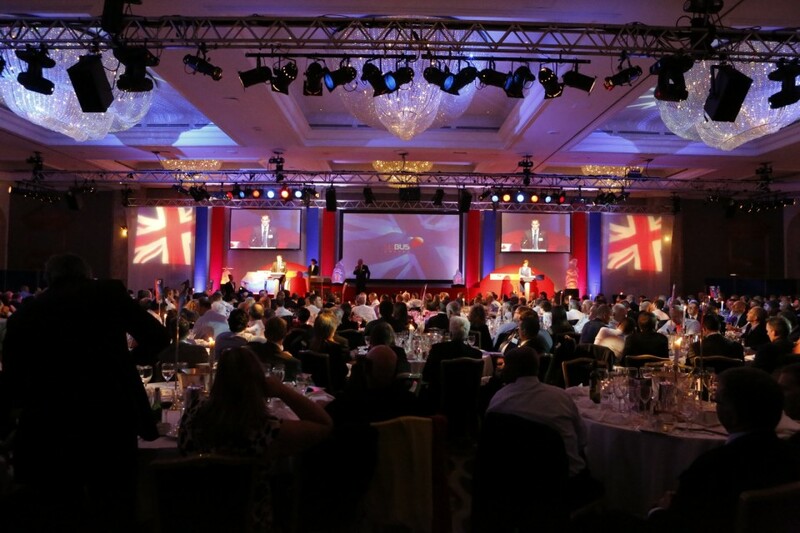 London’s Hilton Hotel was the venue for the 18th edition of the awards attracting 650 attendants. The finalists were chosen from over 250 entries by panels of independent judges. The lunchtime ceremony was hosted by BBC News Presenter Jane Hill. 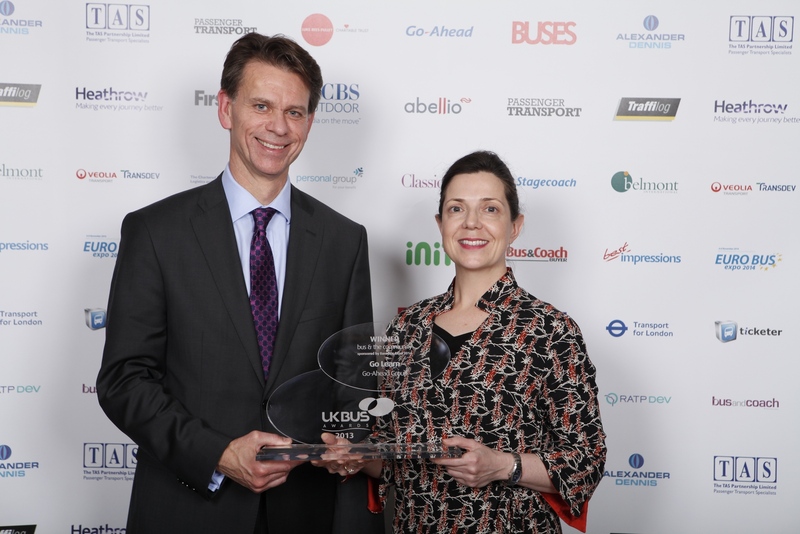 The Keynote Address was given by Minister of State for Transport, Baroness Kramer, whilst Lord Snape, Chairman of the Bus Appeals Board, presented the Awards. 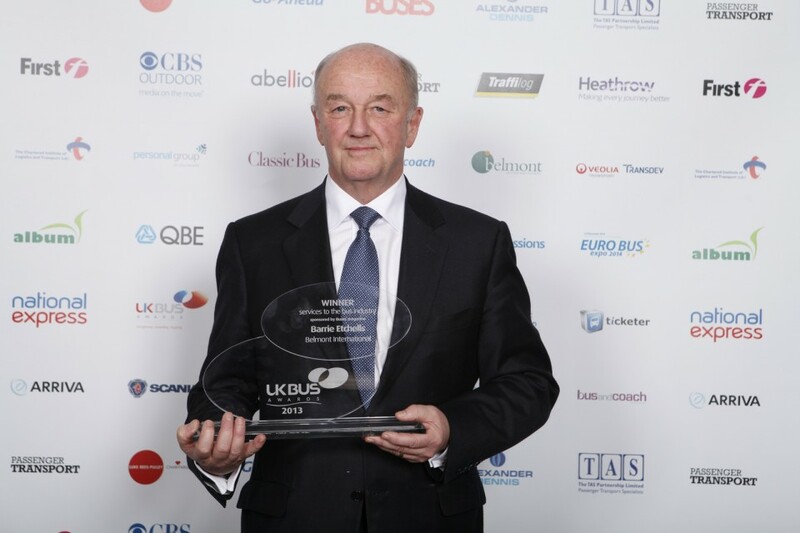 UK Bus Operator of the Year, sponsored by Belmont International & QBE Insurance, went to Stagecoach Manchester. The runner up was Reading Buses. 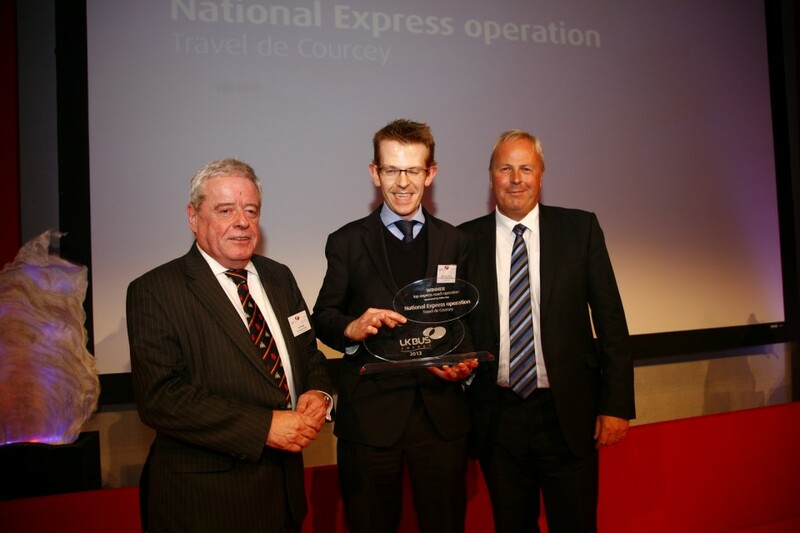 The Volvo Bus sponsored Top Express Operation went to Travel de Courcey’s National Express operation. The runner up was Express City Connect operated by Stagecoach East Scotland. 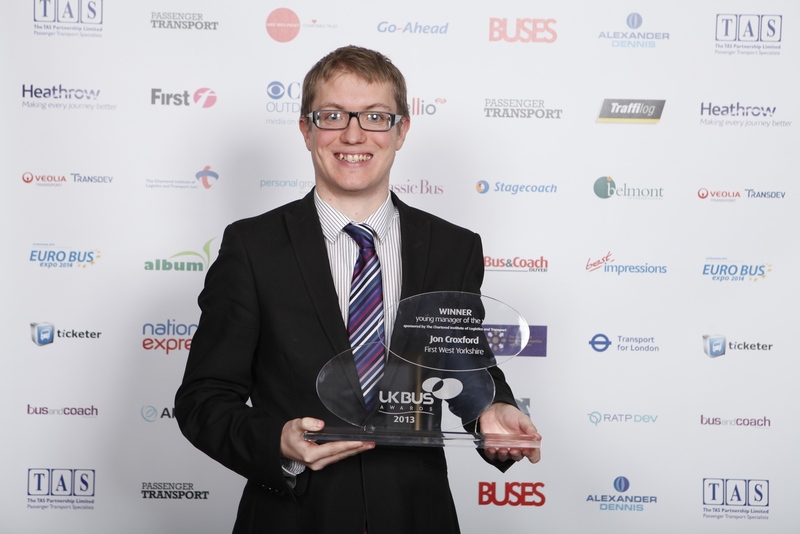 Greyhound Express run by First Cymru was highly commended. 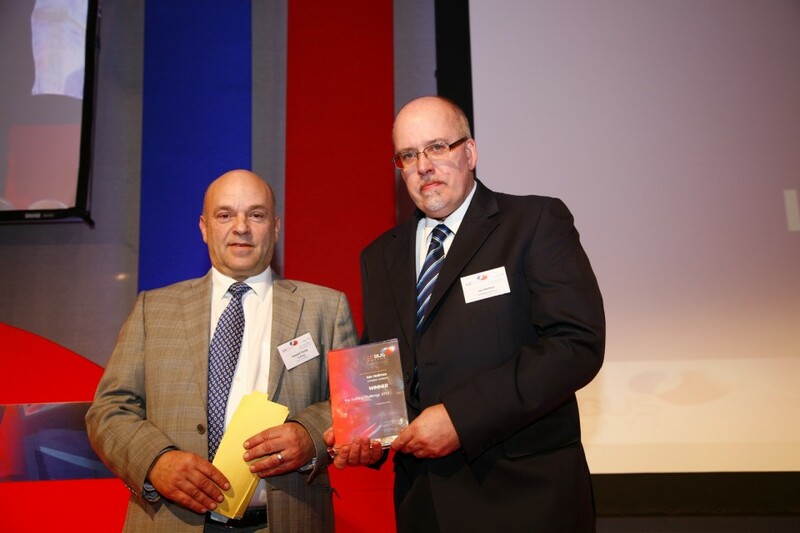 Metrobus’s Crawley site won the Top National Bus Depot award, sponsored by Personal Group. The runner up was Arriva North East’s Blyth depot, whilst First Manchester’s Bolton, First Bristol’s Hengrove, Southern Vectis’ Newport and Arriva North West’s Southport sites were highly commended. 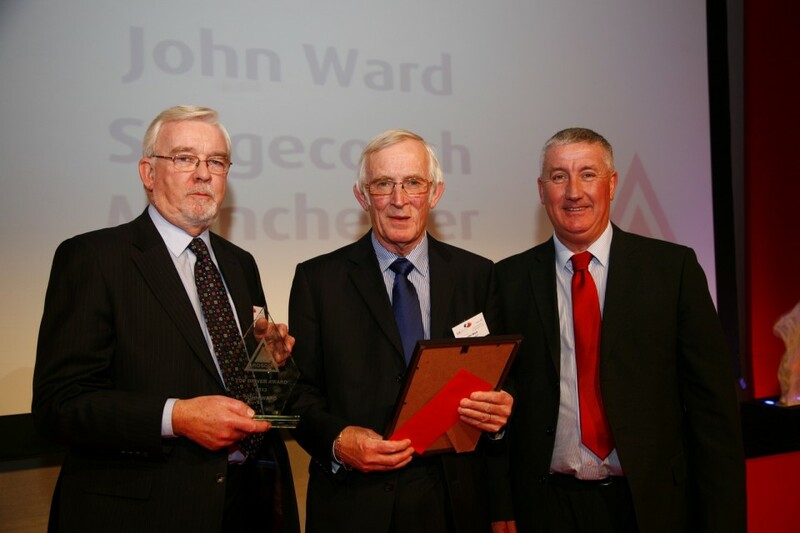 The Top City Operator, sponsored by BAE Systems, was named as Stagecoach Manchester. 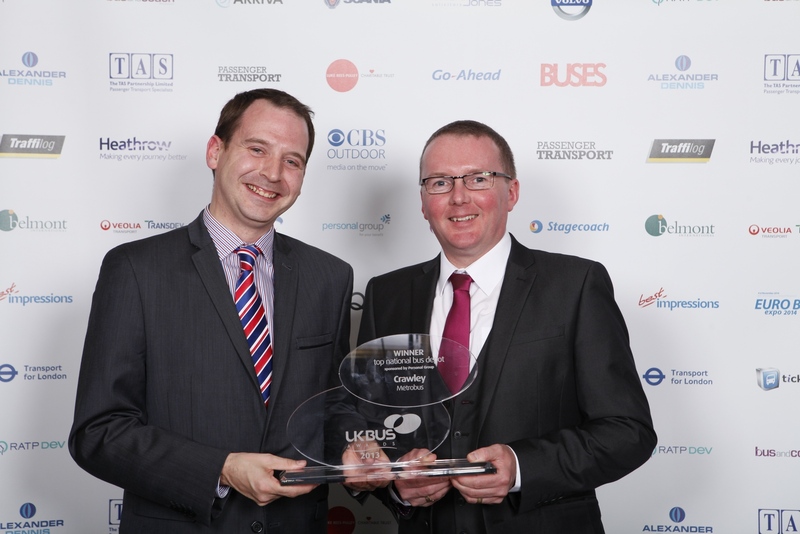 The runner up was Lothian Buses and highly commended were Abellio London, Go North East and Stagecoach Merseyside & South Lancashire. 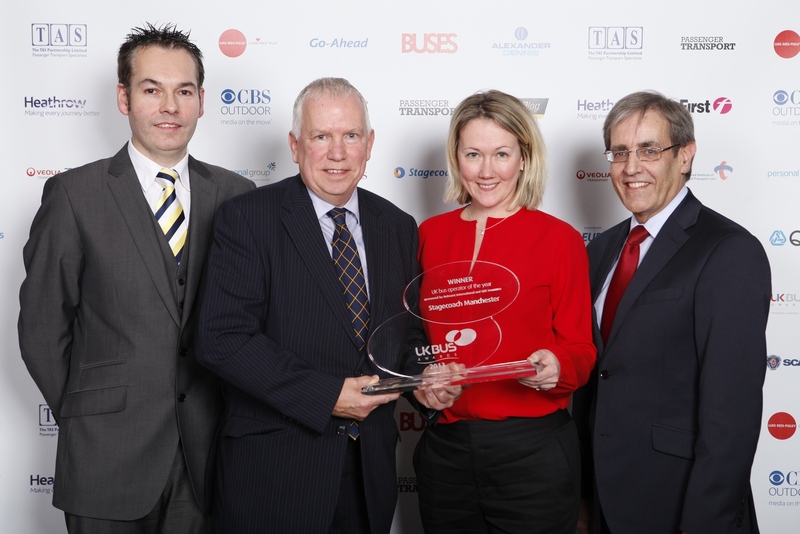 Reading Buses were named as the Top Shire Operator, an award sponsored by Ticketer. The runner up was Stagecoach South West, whilst Metrobus, Travel de Courcey and Transdev Burnley & Pendle were highly commended. The Top Independent Operator, sponsored by Scania, was Norfolk Green. Taking the runner up slot was Courtney Buses, whilst highly commended were Compass Travel, Ensignbus and Perryman’s Buses. 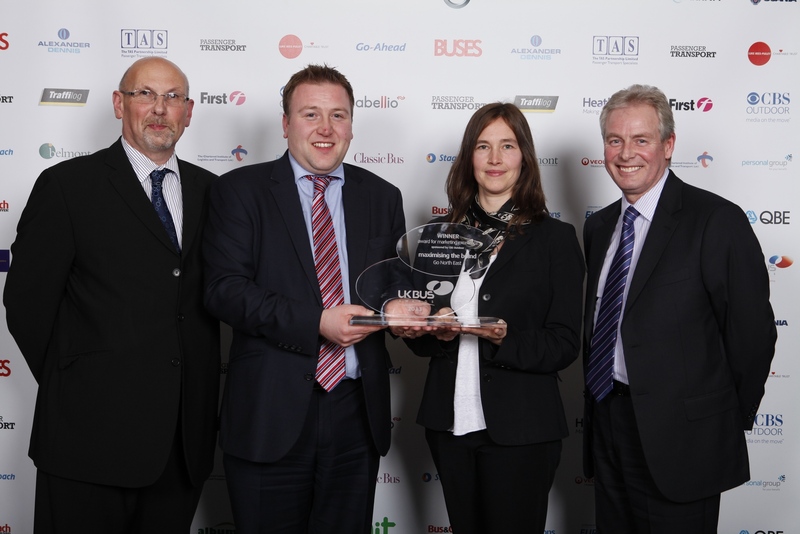 Lothian Buses were named as the winners in the Environment Award with its ‘Leading the way for greener transport’ initiative. Joint runners up in this category were Reading Buses’ ‘A breath of fresh air’ campaign and Stagecoach Group’s ‘Sustainability success’. 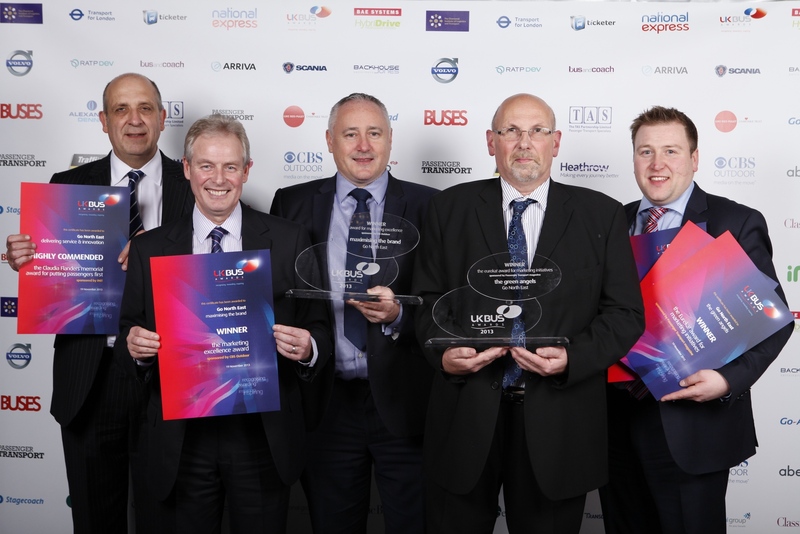 Highly commended were FirstGroup’s ‘Reduce, re-use, recycle’ programme, the ‘NOx abatement programme’ from TfL and the ‘Coventry Park & Ride South electric vehicle project’ by Travel de Courcey and partners. 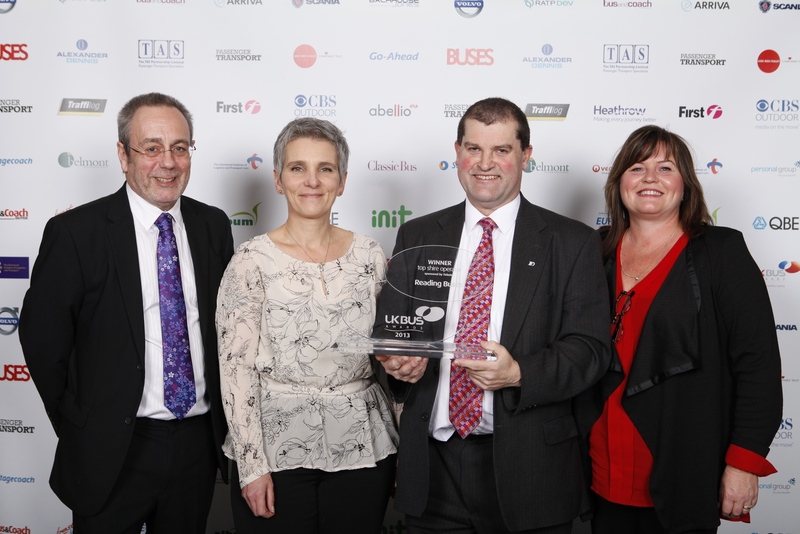 The Innovation Award, sponsored by Alexander Dennis, was won by uTrack & National Express. 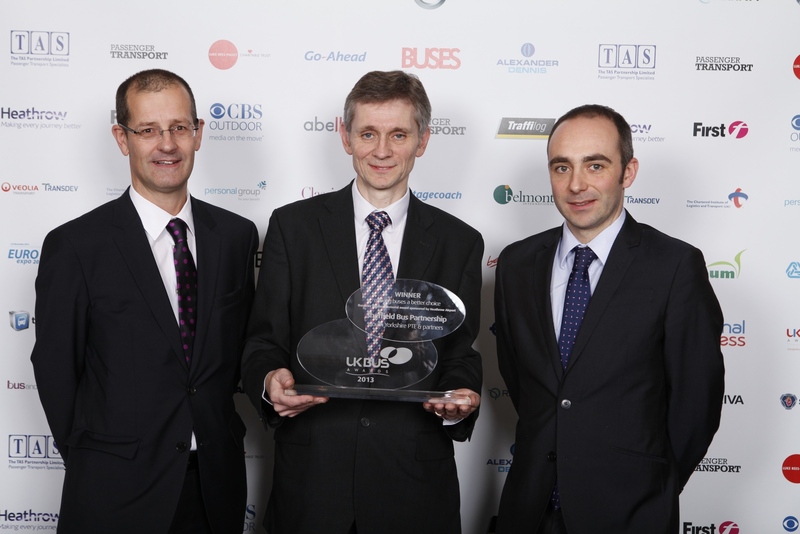 South Yorkshire PTE and its partners were runners up for ‘The Sheffield Bus Partnership’. Highly commended were ‘The Safer Travel Command Centre’ from Centro, ‘Bus for Us’ from CPT UK, the hybrid power flywheel project by Go-Ahead Group and Williams Hybrid Power and Greener Journeys’ ‘Bus for Jobs’. A special commendation in this category went to Denis Noble from First Aberdeen. 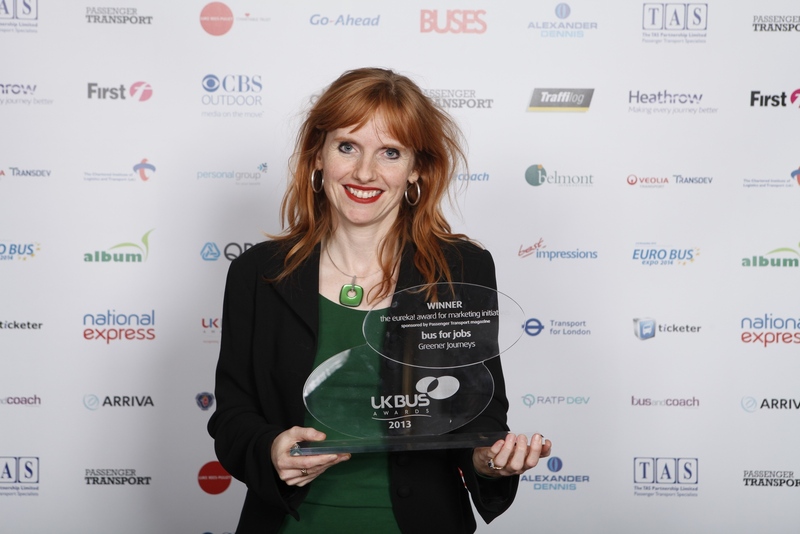 The Claudia Flanders Memorial Award for Putting Passengers First, sponsored by INIT, was won by Reading Buses for its ‘Dedicated to accessibility for everyone’ initiative. Bluestar’s ‘Star access’ was the runner up. Highly commended were ‘One-way £1 fare for under 19s’ by Dales Integrated Transport Alliance, ‘Delivering service and innovation’ by Go North East, Lothian Buses’ ‘The digital customer’, ‘Ride around for £1’ by North Yorkshire County Council and Stagecoach East Scotland’s efforts towards ‘Improving customer relations through social media’. 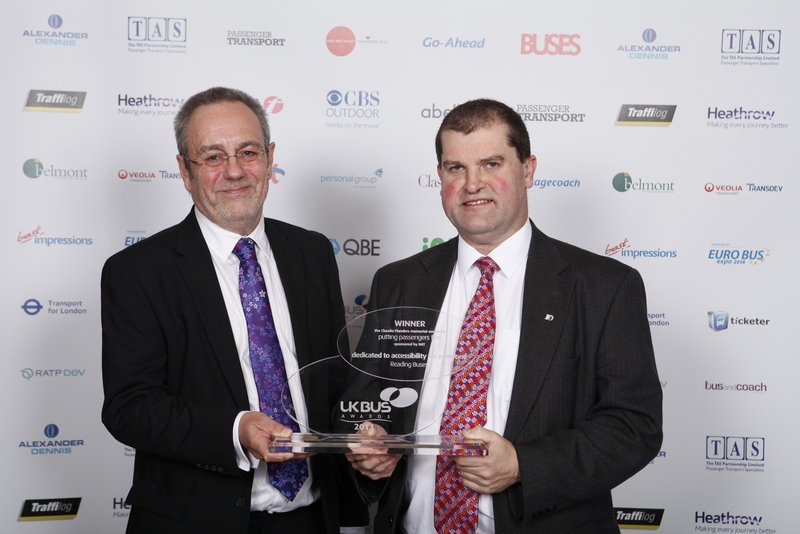 The Sheffield Bus Partnership won the Making Buses A Better Choice: the Peter Huntley Memorial Award, sponsored by Heathrow Airport. Stagecoach in Sheffield was announced as the runner up for its SupertramLink service. Highly Commended were Essex County Council for its ‘Using demand-responsive transport to meet the needs of rural communities’ project, First Hampshire & Dorset and Hampshire County Council for the Eclipse service, Lothian Buses with its ‘Service 10 – buses for everyone’, Nottingham City Transport’s Go2 Yellow Line, ‘A platform for growth’ from Unilink and Bluestar, as well as Stagecoach East for its ‘The Busway’ project. 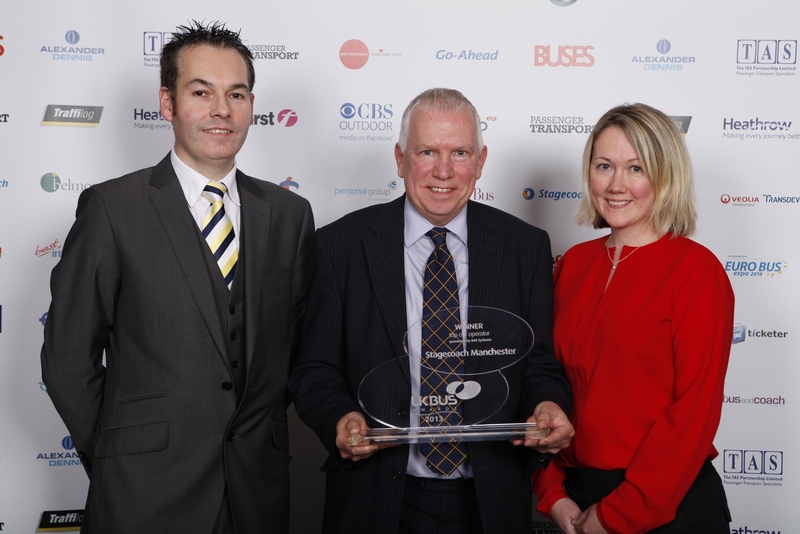 Local Authority Bus Project of the Year went to the Sheffield Bus Partnership, with the runner up named as ‘The improved A65 – travel the easyway’ from Metro and its partners. 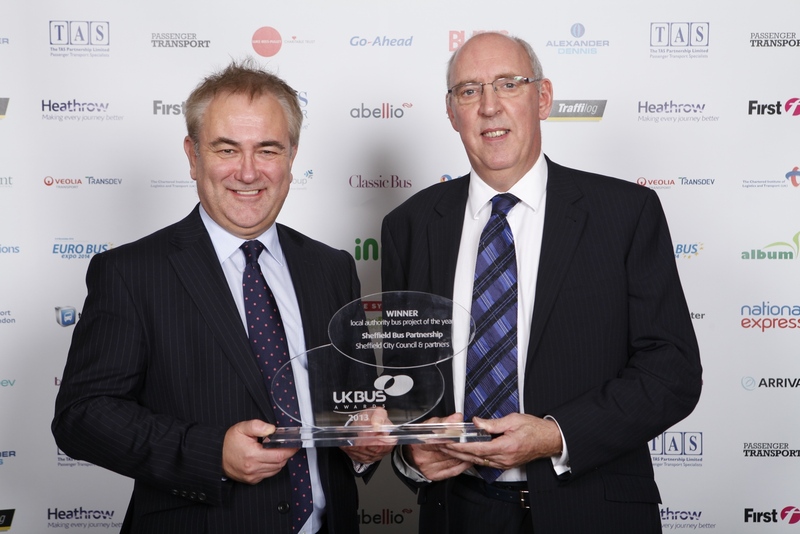 Centro’s Birmingham City Centre Interchange and Devon County Council’s ‘Integrating transport in Devon’ scheme were highly commended. Joint Winners in the Eureka! Award for Marketing Initiatives award were Go North East with its ‘Green Angels’ and Greener Journeys’ ‘Bus for Jobs’ scheme. Highly commended were Arriva North East & Arriva Yorkshire’s ‘It’s alive, it’s electric, Frankenbus’ campaign, First Manchester’s ‘Save Manchester’, Go North East’s ‘Your bus ticket on your mobile – simply buy, show and go’ initiative, ‘Adoption of social media for business and consumer benefit’ from Stagecoach UK Bus and the yLink youth travel card by Translink. The Marketing Excellence Award, sponsored by CBS Outdoor, went to Go North East for its ‘Maximising the brand’ plan. 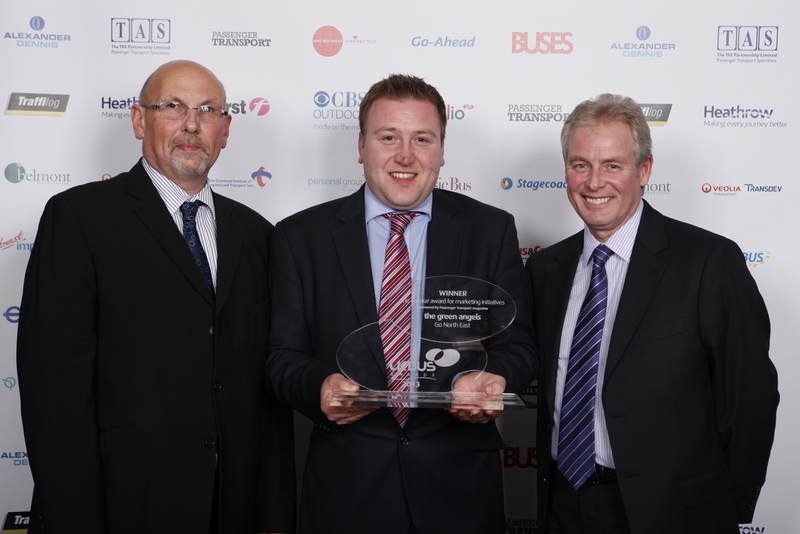 The runner up was Stagecoach in Sheffield with its ‘Creating strong passenger growth’ scheme. Highly commended were ‘more, more more!’ by more bus, Lloyds Coaches’s efforts towards ‘Creating a strong brand image’, Megabus UK’s ‘Digital integration’ and ‘The brighter bus company’ promotion from Yellow Buses. 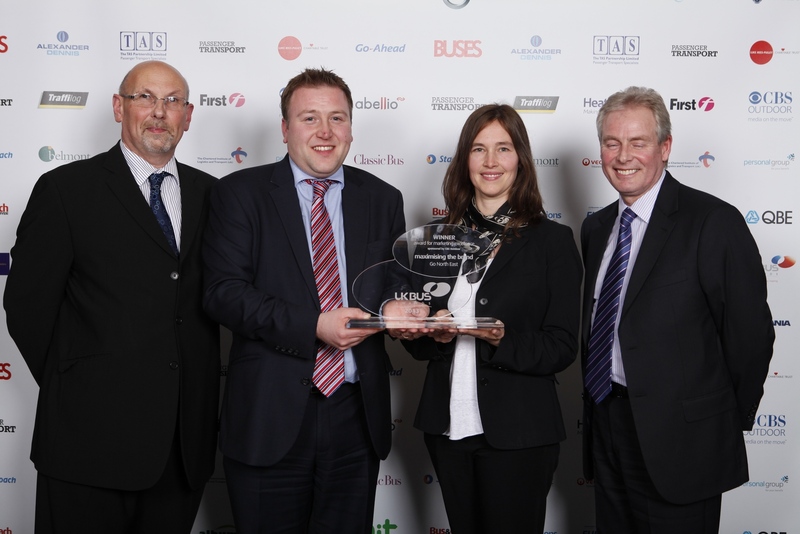 Go-Ahead Group’s ‘Go Learn’ initiative won its The Bus and the Community Award, sponsored by Euro Bus Expo 2014. 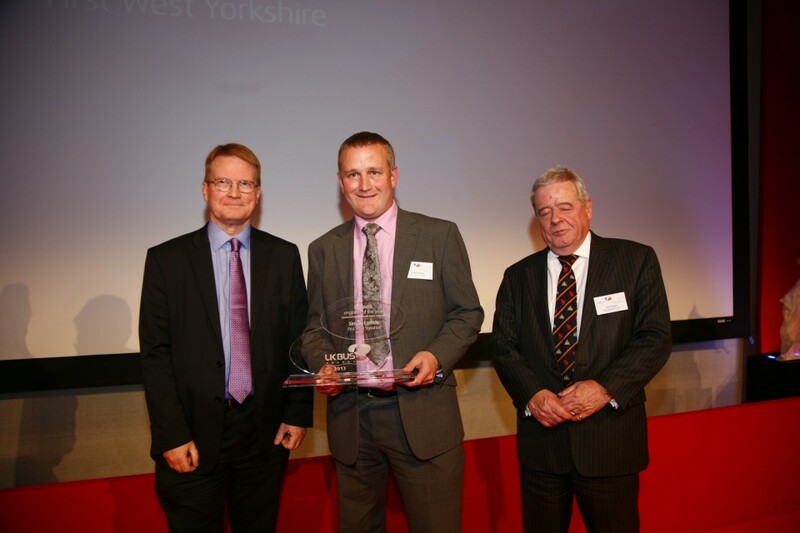 The runner up in this category was First West Yorkshire’s ‘Making the grade’ scheme. Brighton & Hove’s Police liaison officer initiative, Lothian Buses’s ‘Go blue for Prostate Scotland’ project, NCT’s Clifton Diamond Jubilee Celebrations and Stagecoach London’s ‘Bus driver cycle awareness’ project were all highly commended. 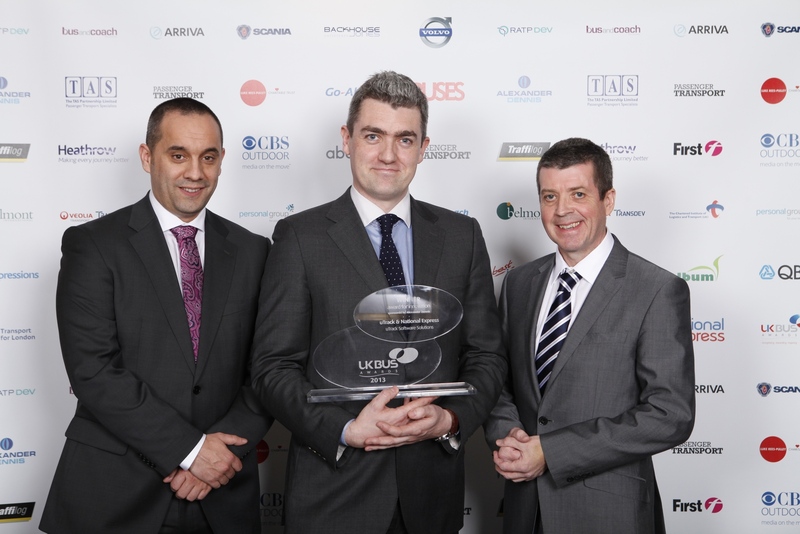 The Young Manager of the Year Award, sponsored by the Chartered Institute of Logistics and Transport, was presented to Jon Croxford of First West Yorkshire. Tom Waterhouse from Stagecoach South was named runner up in this category, whilst First Berkshire’s Simon Goff and Newport Transport’s Morgan Stevens were highly commended. 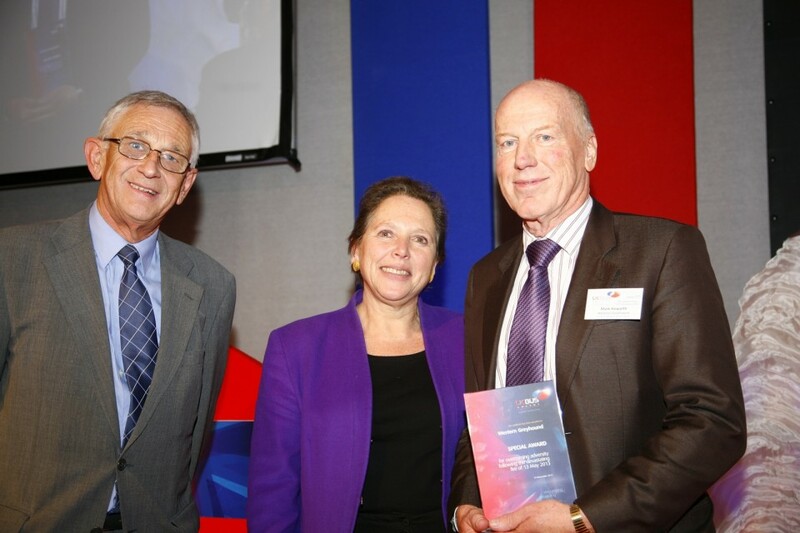 Brian Dawber of Reading Buses won The Unsung Heroes Award, sponsored by Backhouse Jones. Receiving Special Commendations for Outstanding Service were Alan Black from Lothian Buses, Newport Transport’s Gieni Dudek and Vernon Gibbs from Southern Vectis. Kenneth Monaghan from Stagecoach West Scotland and Jason Rayner of Stagecoach South were highly commended. 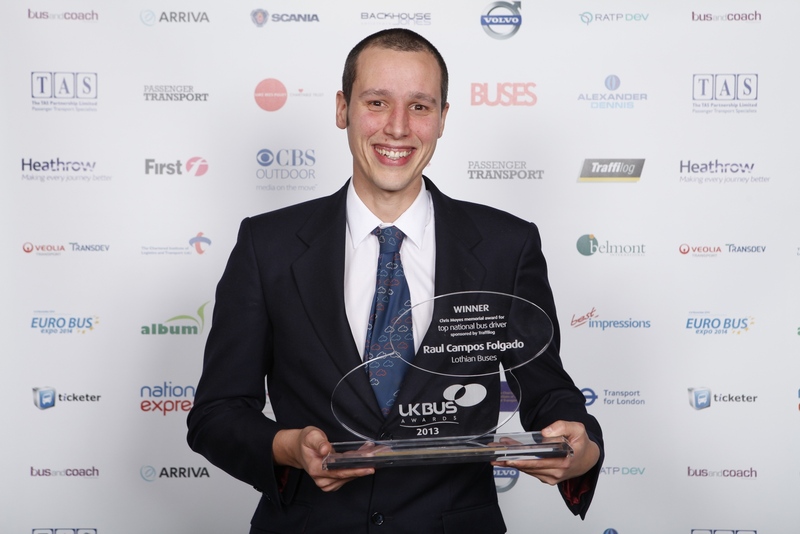 The Chris Moyes Memorial Award for Top National Bus Driver, sponsored by Traffilog, was won by Raul Campos Folgado from Lothian Buses. NCT’s Barry Polkey was named runner up, whilst highly commended were Jaison Annear from First Bristol & Avon, Harmesh Chand of Newport Transport, First Devon & Cornwall’s Gino Contrino, Augusto Iandi of First Hampshire & Dorset and First Manchester’s Phil Millard. 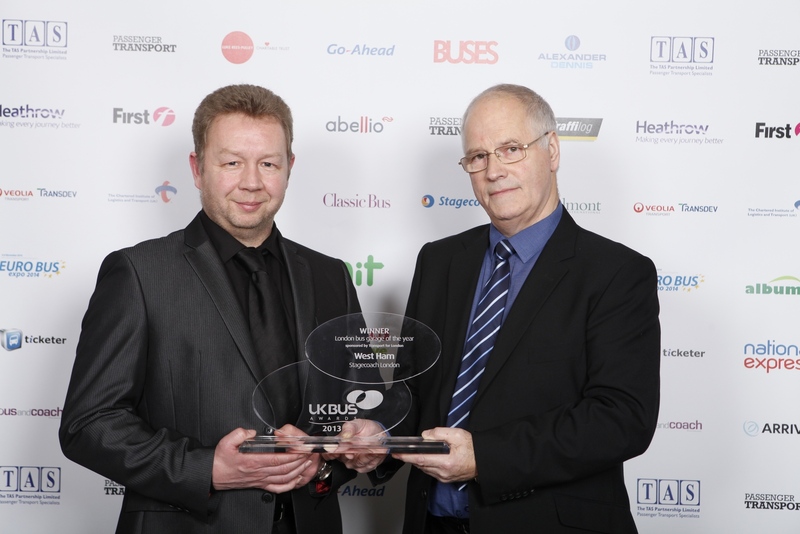 Sponsored by Bus & Coach Buyer, The Engineer of the Year Award, was won by Simon Carlisle of First West Yorkshire. 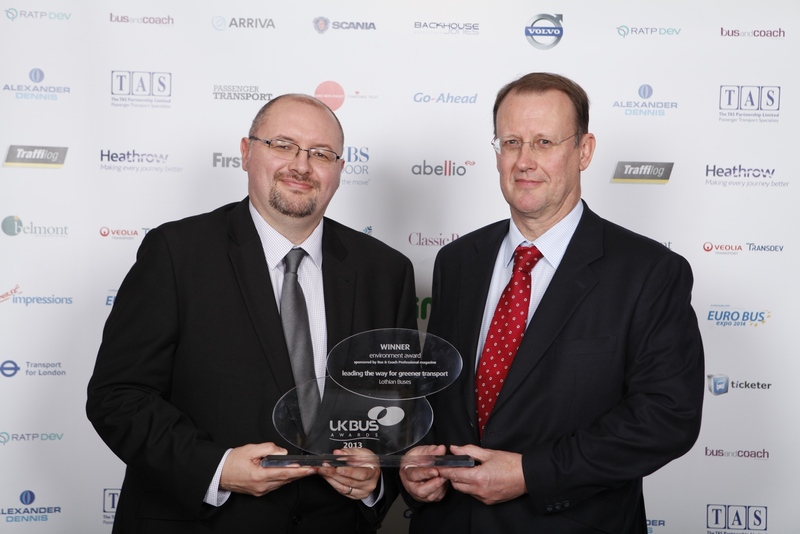 Abellio London & Surrey’s Martin Dixon took the runner up position, whilst Jason Dixon of Arriva Yorkshire was highly commended. 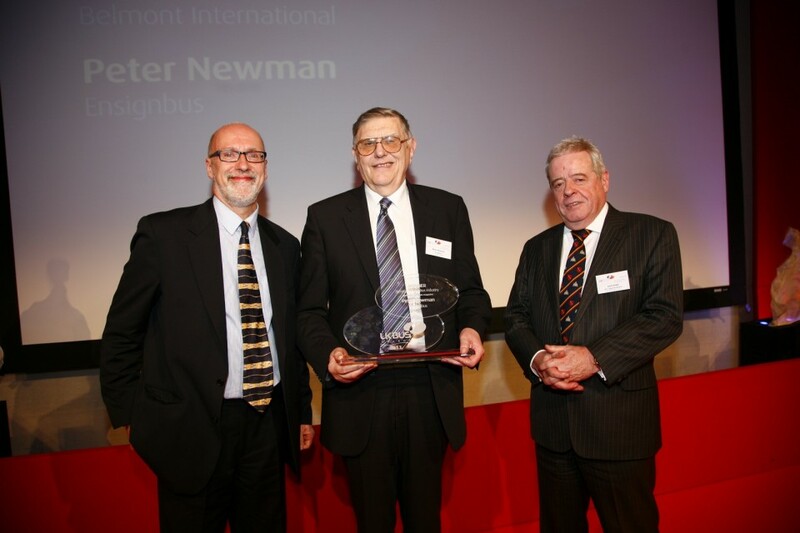 Services to the Bus Industry accolades went to Peter Newman of Ensignbus and Barrie Etchells from Belmont International. 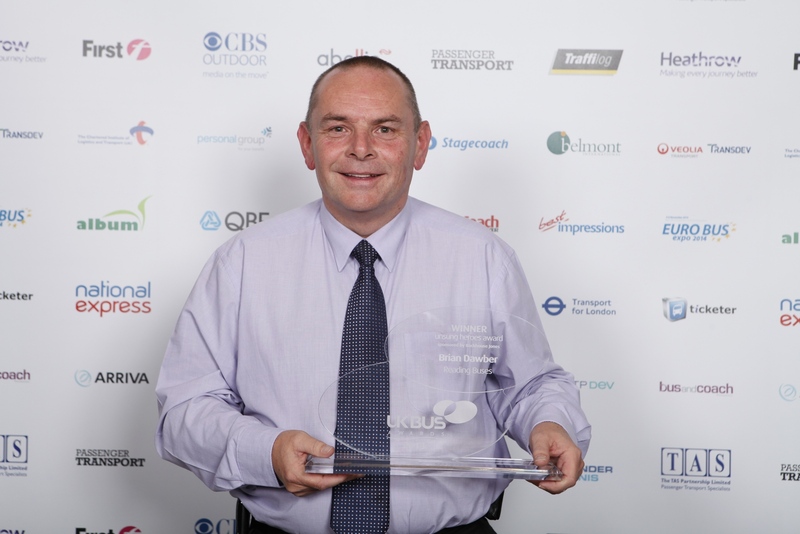 Stagecoach London’s West Ham depot received the London Bus Garage of the Year Award, sponsored by TfL. The runner up in this category was the New Cross site run by Go-Ahead London. Highly commended were Stagecoach East London’s Barking site, Metroline’s Cricklewood depot, London United’s Hounslow site and Metrobus’s Orpington facility. Lesley Peacock. 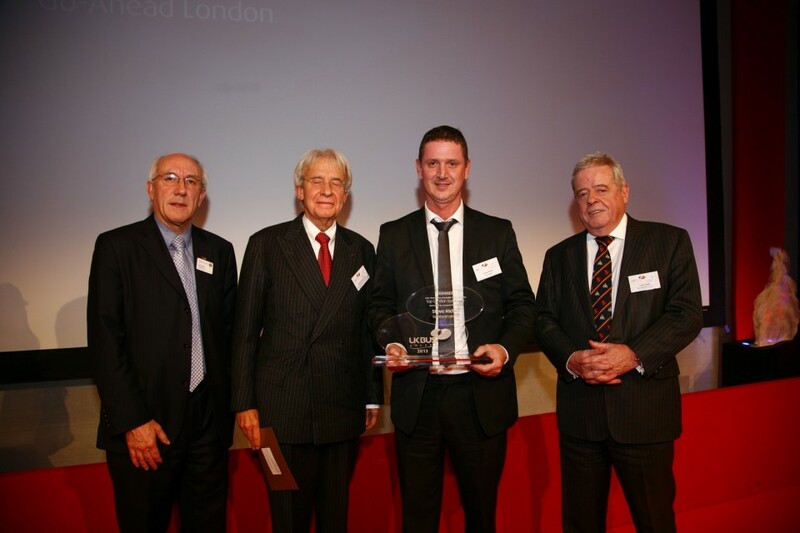 John Anderson from Quality Line, Epsom, Go-Ahead London’s Pat Connolly, Ian Holmes of London United, Thomas McDonnell from Arriva London and Go-Ahead London’s Andrew Samuel were all highly commended.